Nada and Tom are absolute professionals and were generous with their knowledge and experience. We felt comfortable asking questions and providing our input and felt heard. Very important in this situation! We loved working with Tom and Nada, they were patient, knowledgeable and really advocated for us. 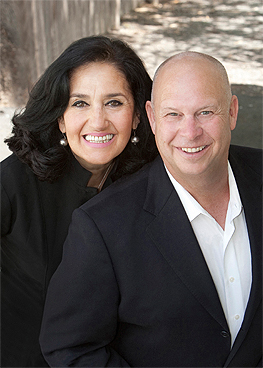 They went up and beyond several times to help make our dream of owning a Sonoma home come true. We highly recommend them! Tom is a wonderful Real Estate agent and a great guy as well! We now have bought 2 houses (with many years in-between) with the help of Tom's expertise and have the highest opinion about him and real estate magic he can weave.